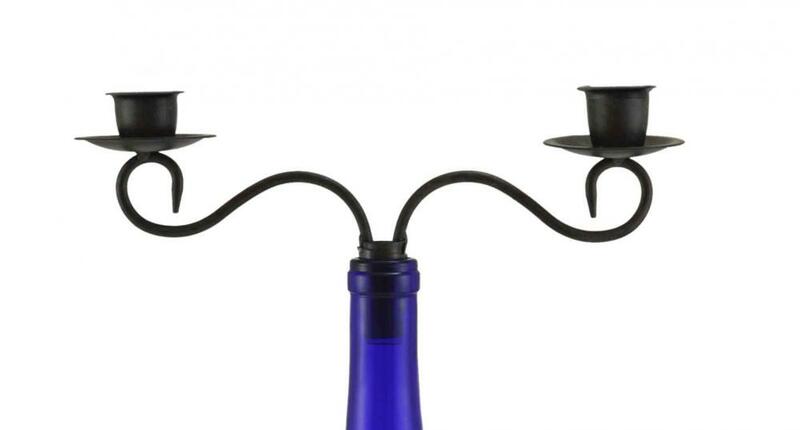 This Unique Pair Of Shabbat Candlesticks Is The Perfect Gift For Any Wine Lover! 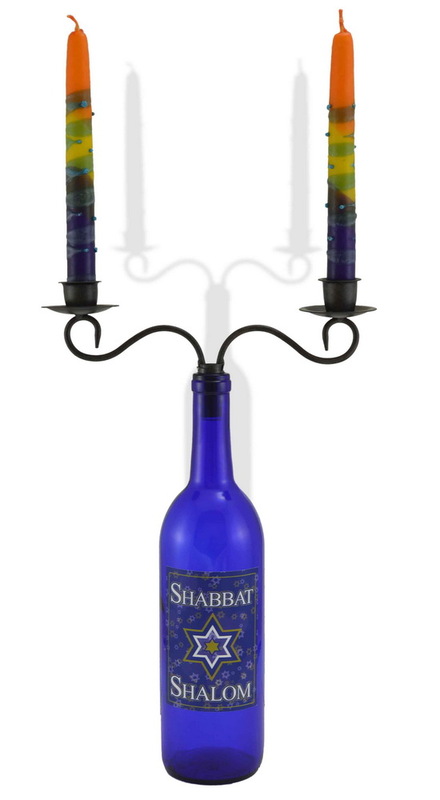 This Gift Set Includes The Candlesticks Cork That Can Be Used With Any Standard Wine Bottle, A Cobalt Blue Glass Wine Bottle, A Pair Of Colorful Handmade Safed Shabbat Candles And A Reusable Shabbat Shalom Glass Cling That Can Be Transferred To Any Other Bottle. This Is An Exclusive Gift Set, Only Available At Traditions And Comes Gift Packaged Together In A Wine Bag. A Perfect Gift Idea For Someone Who Has Everything! 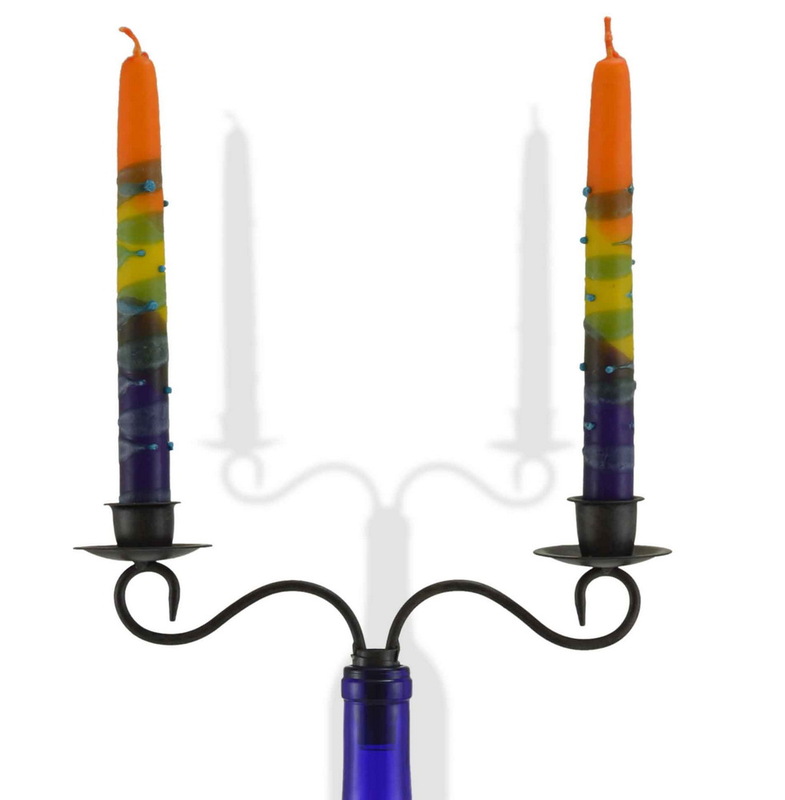 This is hip yet traditional Shabbat candle set. Any wine bottle can be used since the label is a "cling" and is reusable. The bottle included doesn't seem to be as sturdy as regular wine bottles. I gave it a three-star rating because I thought the set was just a bit overpriced.